DWS is one of Australia’s leading providers of professional and ICT services. We employ over 800 people across seven states and territories, and have a more than 15 year history of successfully supporting complex Government programs, with many of Australia’s largest companies as long term customers. DWS has worked with the Department of Defence and major Defence Prime Contractors, delivering complex software development and support services. Our capabilities include software development, data analytics, applications support, mobile and web application development, project management and business analysis. From our Canberra office, DWS has been providing application managed services to the Department of Defence for over 16 years, providing data warehousing and analysis, application development and support and solution architecture. These services are provided by our dedicated Defence Programs section, working in Canberra and on-site with Defence across Australia. 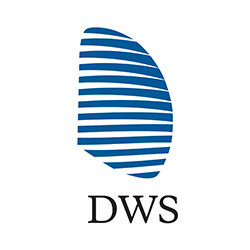 DWS is an Australian owned and operated company, trusted in project management and software development by some of the Government’s largest departments and private companies. Our long-term customers include major Australian banks, telecommunications companies, and utilities. We are trusted to deliver large and small projects on-site with our customers, and we have the ability to delivering services from our own security-accredited facility. Our work in the Defence and National Security sector is enabled by our security cleared workforce across the country, the expertise of our staff, and the strength of our customer partnerships.